While Susannah Spurgeon will always be remembered as the faithful wife and encourager of the great preacher Charles Haddon Spurgeon, she deserves recognition in her own right by the Christian Church in connection with her fund for supplying theological books to clergymen and ministers too poor to buy them. The importance of this Christian work should not be overlooked or underestimated. At the time in which Mrs. Spurgeon lived, many ministers living in England were given such a poor wage that they could barely feed their families, let alone buy books to help them grow spiritually and improve their ministries. In fact, when the Book Fund was started it was discovered that many ministers had not been able to buy a new book for ten years! Mrs. Spurgeon was born Susannah Thompson on January 15, 1832 to Mr. and Mrs. R.B. Thompson in the Southern suburbs of the City of London. She was raised in a godly home and had earnest Christian friends as she grew up and she herself became a Christian as a young girl. But since, in those days, there were not many organizations or churches that encouraged young believers to pursue Christian service and or further their knowledge of God, there was a coldness and indifference common to the youth of that day, Susannah included. When C.H. 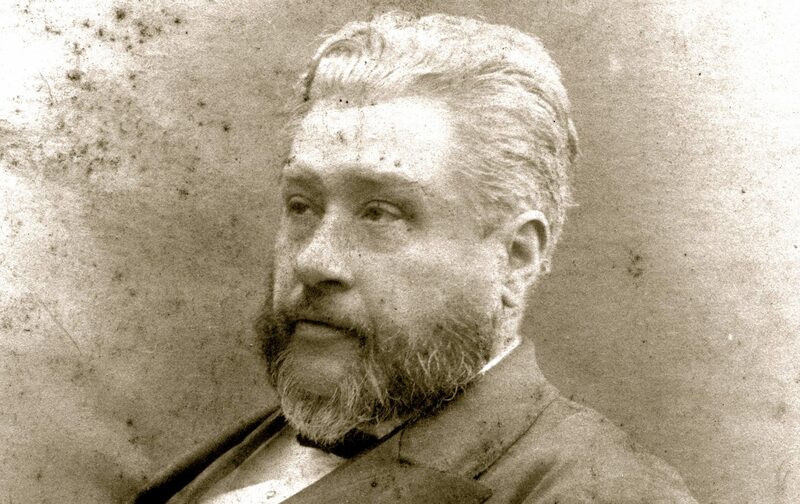 Spurgeon finally accepted the pastorate of New Park Street Chapel, Miss Thompson often saw him at the home of her dear friends Mr. and Mrs. Olney who were members of the church. Though they saw each other often, neither Mr. or Mrs. Spurgeon remembers their first introduction. It appears that it didn’t take long for Susannah to get over her prejudices regarding Charles as a preacher and she soon realized her Christian life was far from what it should be. Mr. Spurgeon soon heard of Susannahs desire to improve her Christian walk and gave her and illustrated copy of The Pilgrim’s Progress to help her along that path. She was very impressed by his concern for her and from that time on their friendship grew and it wasn’t long that it blossomed into love. Charles and Susannah were married on January 8, 1856. Charles Spurgeon was a prolific writer and had most of his sermons published. In the summer of 1875 he completed the first volume of ‘Lectures to my Students’ and he gave his wife a proof copy of the book, asking for her opinion. She told her husband that she wished she could place that volume in the hands of every minister in England. To that her husband replied, Then why not do so: how much will you give? The next issue of ‘The Sword and the Trowel’, a magazine which was a magazine put out by her husband, contained an announcement of Mrs. Spurgeon’s intention of giving out the books and inviting poor Baptist ministers to apply for the book. The applications proved more numerous than she anticipated and in that first distribution she gave out two hundred copies instead of the one hundred she originally proposed. In the following issue of his publication, Charles told of the many ministers desiring new books to increase their knowledge and improve their ministries and of the Book Fund that Susannah created to fulfill these needs. Money began to come in to finance the Book Fund so that books could be provided to needy ministers. Besides the support she gave her husband in his ministry, the time she spent raising and training her boys, and the work she did with the Book Fund, Susannah Spurgeon gave a good deal of time to literary work. Her most treasured work was C.H. Spurgeons Autobiography, compiled from his Diary, Letters, and Records. As a writer, Susannah had a rare literary gift. She wrote several books in her lifetime including Ten Years of My Life in the Service of the Book Fund, Ten Years After, and several devotional books.